When it comes to trying to anticipate how the markets will react to any Fed announcements, I’m starting to learn that it’s probably best to just do… nothing. In any case, I used some of the volatility to make some additional moves this past week that I didn’t get a chance to document until now. I closed out my MUX position for no other reason than the fact that I was up close to 15%. As I’ve mentioned before in these portfolio updates, I have no problem selling out of any individual holdings when they rise and I’m in profits. Do I still like MUX? Mining stocks are inherently volatile, and sometimes the daily movements are erratic and really make no sense at all… So, I have no qualms with taking some gains off the table, from time to time. After all, these stocks don’t pay a dividend (most companies anyway), so I have to occasionally trade them to generate my own form of active income. Certainly, there will be times when my trades don’t work out… and other times that they do… but I’m not going to stress out too much about it; my own strategy is to load up heavily on extremely bloody days so that I have the luxury of trimming off some positions on any mini-rallies. Moving on, I also added some more shares of EGO. 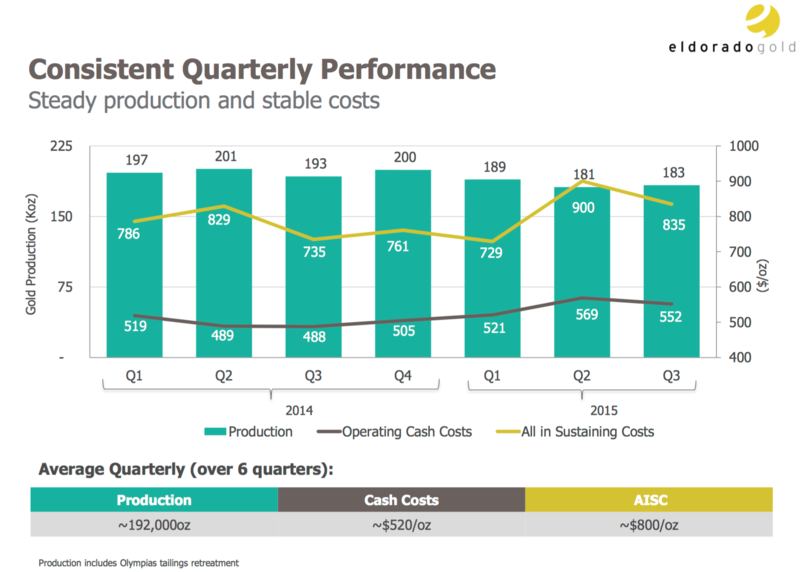 This is a large mid-tier producer that I like (pretty clean balance sheet and low cash costs). However, Eldorado does operate in some riskier jurisdictions (Greece, Turkey, China). 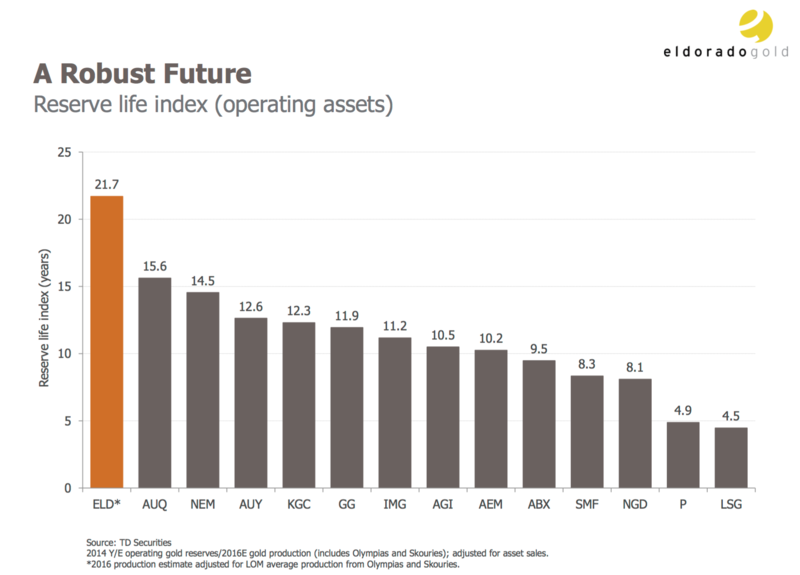 As usual, there are no free lunches… you’ll find pros/cons for every gold mining stock out there. But when EGO stock dips below $3.00/share, I get interested. Similar to IAMGOLD (IAG), I wouldn’t peg EGO as one of my favorite ideas, but it’s a stock I’m comfortable with owning, and one I wouldn’t mind trading on strength. The last stock that I added is perhaps the one that I am most excited about! RD.V is my sleeper pick of the year for 2016! Up to date, Red Eagle has literally flown under the radar of everyone, but it’s a stock that I think is primed to break out in 2016. The company is currently developing their Santa Rosa project in Colombia, and they should be in production sometime in Q3 or Q4 of 2016. Provided all goes smoothly, I think a re-rating of the stock is in order, since it currently only trades at a C$44 million market cap (enterprise value of C$35 million). 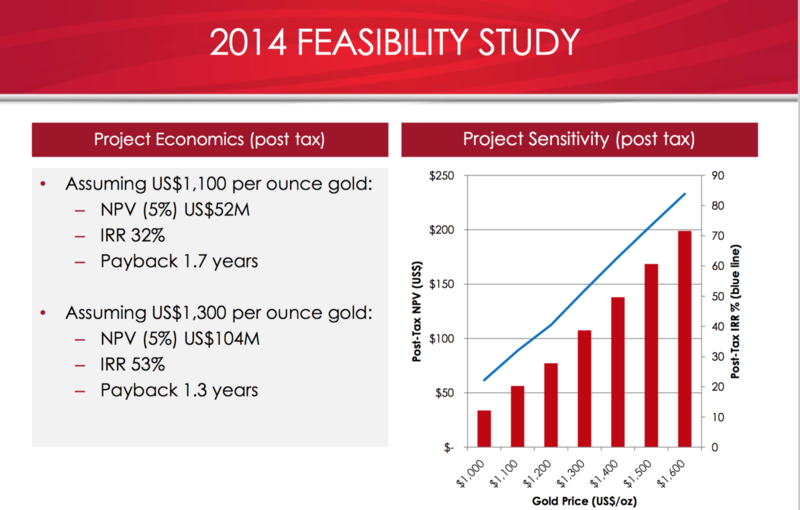 Initially, Red Eagle aims to produce 40,000 to 50,000 gold ounces annually (initial life-of-mine estimate of 8 years). This might NOT sound like a lot of gold, but if the numbers work, the numbers work! Cash costs are estimated to be only $596/oz, All-In-Sustaining-Costs (AISC) of $763/oz, and initial CAPEX is a very palatable C$74 million (fully funded). Further, the initial resource only accounts for 1/2 of one shear zone at the San Ramon deposit, drilled to a depth of 200 m. The resource is still open at depth, on strike to the east, and other parallel shear zones. Red Eagle’s Santa Rosa land package extends over 300 km². This historic mining district was host to artisanal mines, many of which are relatively under-explored using modern mining techniques, with only the near-surface oxide ounces having been mined in the past. Needless to say, there is plenty of room for further expansion and exploration. 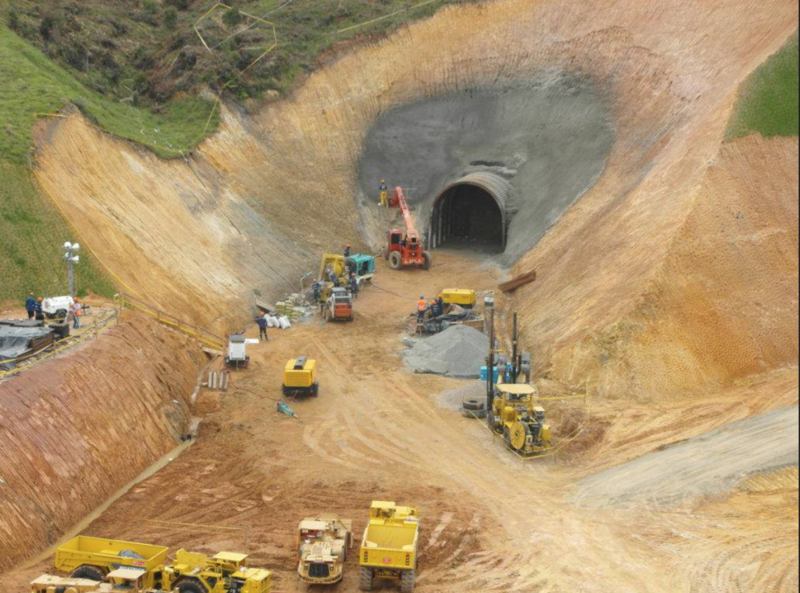 Red Eagle is aiming to become the first modern Colombian gold mine to enter production in decades; they’ve got all the permits they need in hand, but it looks like until they are in full-swing production, the markets will remain in a state of “show me”. Granted, an on-going development story like Red Eagle will never be a “slam dunk” or sure-fire bet (proven mid-tier gold producers are less risky, in comparison), but I’m willing to jump in at this point because I do feel like a re-rating is in store for 2016. If I compare Red Eagle with some other advanced-stage projects such as Roxgold (ROG.V) and True Gold (TGM.V), I can easily see how the current valuation of Red Eagle has much more room to run up. In addition, Red Eagle management has gone on record to say that they want to become a leading mid-tier gold producer that eventually returns value to shareholders in the form of a dividend. Are we looking at the next B2Gold (BTG)? Hopefully, I’ll be able to add another 20,000 shares at, or around these levels before RD.V takes off for good…. Being you like to cost average down untill the turn around in gold/commodity’s develops, have you considered selling future puts on positions that you currently own. 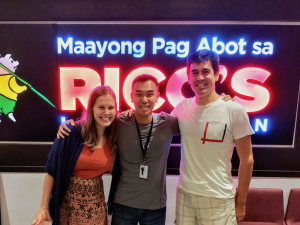 The idea, as I’m sure you already know, is to either gain premium and enjoy a positive move for current stocks owned which could be considered a win. Or, know of your future cost basis and have a predetermined acceptable “put” that you would like to own more shares of the company at a cheaper discounted price rate, and even add in a covered call to offset any continued weakness. I’m just curious if you had contemplated this strategy or if it doesn’t fit your overall goals and strategy? As always, I have enjoyed your post and continue to follow along. On a personal note, I have sold down most holding in last 1-2 months and sitting with cash (70%). I do plan on entering more commodity and miners but currently have been practicing patience as I had no real idea of direction with the fed so decided to wait out this year’s fed and tax sales. On personal thoughts, an inflationary rate raise should do well for gold but haven’t decided if there’s a timeline to best follow from history as 0 rates seems to be something of an anomolie. Hope not to much of a ramble. In general, I think it’s easy to define a trading range for more reliable stocks like your typical large cap blue chip… With the miners, they swing so violently in both directions, that I’m wondering if it might be a better strategy to just “take what the market gives you”. For instance, in my head I might think a certain stock looks cheap at $2.00/share… But I’ll wake up the next morning and it will have dropped to $1.70/share… If so, I’ll just buy it there and possibly trade out of it on any significant rebounds… The key is staying liquid. If any particular stock runs away, I’m content with that since my portfolio is well sized for my goals. I love the idea of going big on cash right now… I’ve got a large cash position myself, and have been mostly in cash for the duration of this year. What is you Overall update right now? You highlighted an update earlier. How much cash do you have and plan to deploy? In terms of the portfolio, I would probably cap it at $300k all-in, but we’ll see… Right now, I’m doubtful it even gets that high before I say “enough”. I like your strategy of selling out of positions when you get a nice profit and buying more shares and cost averaging when the price goes down. In that way, you are letting all of the volatility be your friend. And just like your article on “Not all haircuts are the same”, worst case scenario you are holding positions that have already been beaten down and should have nice upside over time. In general, stock market investing is not for me. I just don’t like the idea of having very little control over a stock moving up or down based upon many factors that either I do not understand or have very little control over. It is also something that I would not want to manage on a daily basis. Just my personal preference. There are certainly people that have done very well. Said that, I still go back to the question of how many people retire early off of stock market investing? I feel very much the same way — I prefer the control and sensibility of real estate which is tough to find in stocks. With these companies, you are putting your trust in management and other people to deliver on their promises. I love leveraged real estate as a vehicle to get really wealthy… I just refuse to go down that path at the top of a market expansion cycle that is now about to enter Year 8 (let’s wait and see if the Fed can muster another rate hike in 2016 before we declare tightening). To retire early off of stocks, you really need to bet big and hit a home run… The slow and steady index/dividend approach won’t get you there in less than 10 years (unless you make an insane salary and can contribute massive amounts of capital). Still, I can’t think of a better “lottery ticket” alternative that’s currently available at this time where the fundamental question is “when” not “if”. I’ve got to like those odds! I agree. Particularly where you live, real estate prices do not make sense anymore. Plus you have a relatively large amount of dry powder to work with so you are deploying it in a way that makes sense given current opportunities. You have the best of both worlds really. You already own a fair amount of real estate which should be stable and add substantial wealth in the long run. Plus you are deploying capital with the hopes of maximizing returns. And it is not grocery money so if it does not go perfectly you will be just fine. “Fed rate-hike worries have created an opportunity to buy gold miners at a discount. The market is rightly concerned about the impact of higher rates and investor demand for gold, but a narrow focus on investor demand overstates its importance to gold’s long-term outlook. Over the next decade it will be jewelry demand, not investor demand, that drives the gold market. Led by China and India, we expect jewelry demand to account for two thirds of gold demand by 2020 and that assumes a deceleration in jewelry demand growth for those two countries. We expect ETF and central bank purchases will account for only 5% of the market by that time. 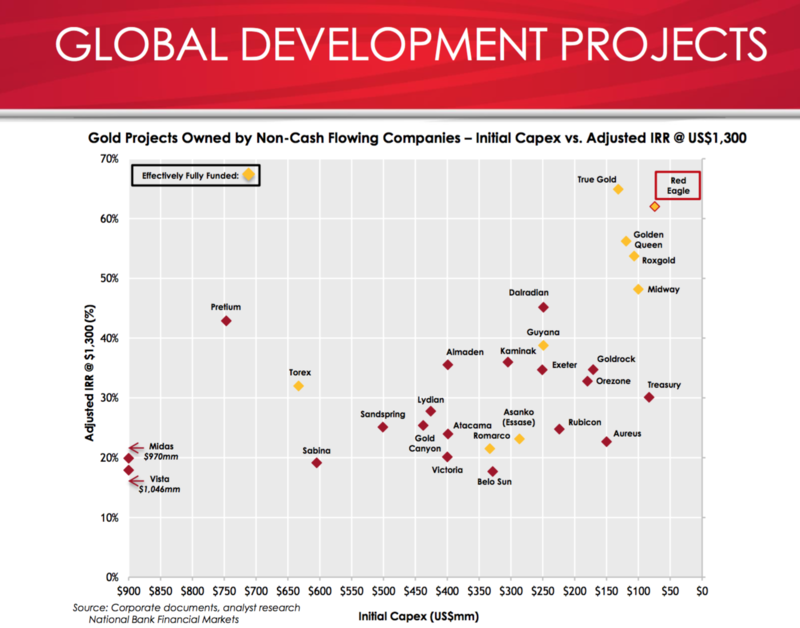 Gold supply growth must accelerate, but mine projects and development would be insufficient to meet demand. To avert a shortfall, we estimate an additional 200 tons of annual mine supply would be required by 2020, equivalent to about 5% of global mine production. A prospective supply shortfall is bullish for gold prices, but significant mine cost deflation diminishes the upside. We forecast the gold price of $1,300 per ounce on a nominal basis by 2020 or roughly $1,160 in constant 2015 dollars. Thanks for the quote and insights. Demand coming from the East (China, India, Russia) is definitely worth monitoring closely. Although the goldbugs like to dream about $5,000/oz gold, in reality, if gold can just get back to say $1,500/oz (and cash costs don’t go up in lockstep), the trade will work out… And at some point, I would have to believe that the big money will start to land in natural resources (in search of value), a most decimated sector. 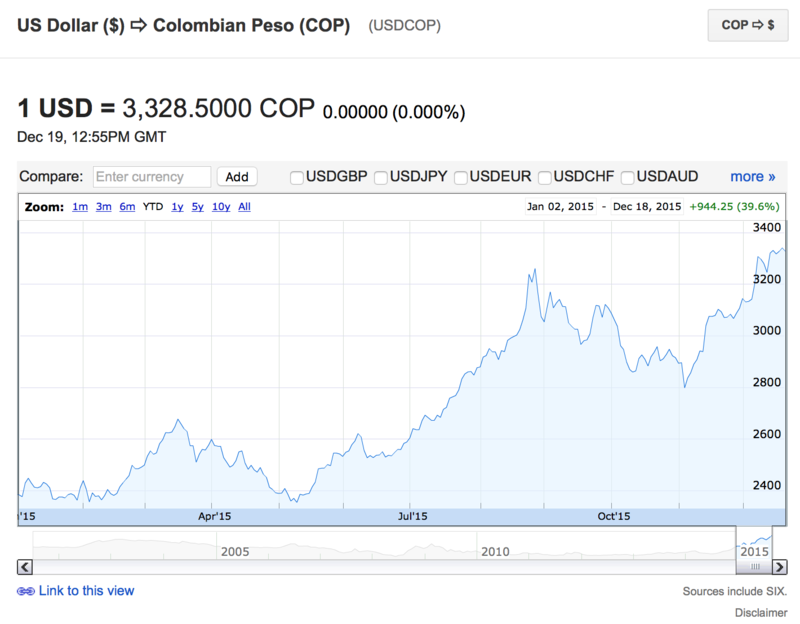 Right now, the current deflation in oil/energy prices and the strength of the USD is actually helping out miners quite a bit, and some companies are profitable at even $1,000/oz gold… So, survival is still possible, and speculators can err on the side of caution by investing in the lowest cost producers with the cleanest balance sheets. In terms of supply, that will absolutely become a problem in the medium to long-term. Exploration has grinded to a halt and very few new discoveries are being made these days. Coupled with mine shutdowns, it’ll only be a matter of time (say 5 years, maybe) before demand far outstrips supply. Buy low and sell high… that’s about the only thing I know for certain. Sorry to here you sold MUX at $0.95. I assumed McEwen was bound to begin making Moves to relieve the NYSE possible Delisting. I have been adding to my Poston in the mid $0.90’s. I’ve followed US Gold / Mcewen Mining for over a Decade and making Gains on Rob McEwen ‘s Surprise Moves. Hopefully the News today 12-21-15 MCEWEN MINING BUYS AFGAN-KOBEH PROPERTY IN EUREKA COUNTY, NEVADA increasing the Property around Gold Bar, keeps my Gains Theroy on the intact. What do you think about ORV? Very small player currently being traded at 10-15% of its book value. It has very minimal debt and has been generating positive free cash flow for years but seems punished more than before.